New! 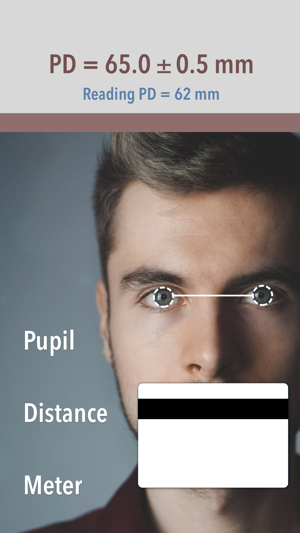 redesigned Pupil Distance Meter - quick and accurate mobile solution for pupillary distance (PD) measurement with camera. Check your interpupillary distance (IPD) before ordering prescription eye- or sunglasses or VR headset. Now you can get accurate PD yourself using a standard size card (library, grocery, gift, etc) as a reference and device camera. No rulers or mirrors needed. See detailed step-by-step instructions in the app. 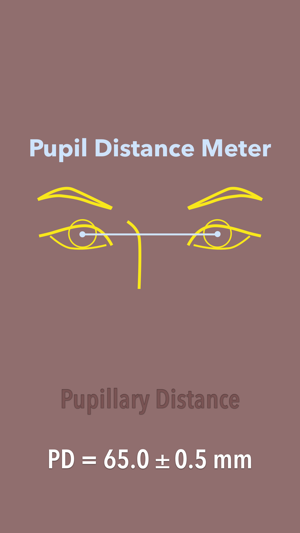 To get accurate and consistent pupillary distance two successive pictures has to be taken and marked according to the guide. 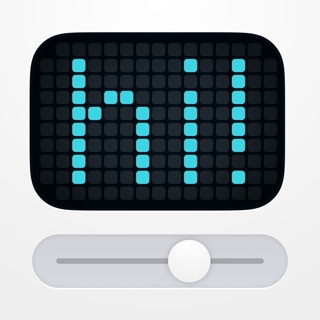 Then the app estimates average distance between eyes. 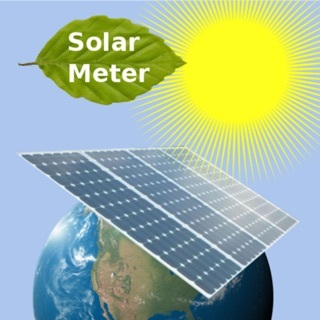 If you find the app useful please support it with your feedback and comment. Feel free to contact support@vistechprojects.com with any questions, comments, suggestions or if you need any assistance with the app. Not worth the $1.99 price! I was expecting this app to automate the task but it still requires you to place the markers manually on the pupils and on the credit card ends. 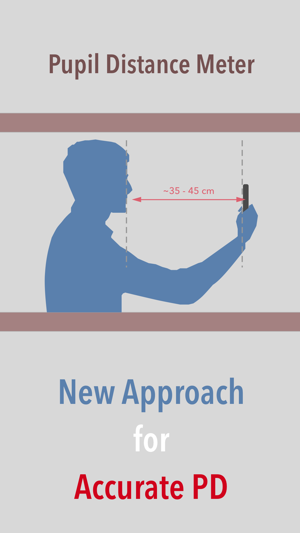 Given that it is still arbitrary and slightest of error can magnify differences, It serves little advantage over the conventional method of taking your picture with a ruler and measuring the distance manually. Tried a dozen times, from different distances, aligned rulers very carefully, each time. Only got the error message, "PD out of range." I'm going to call Apple and try to get a refund. Run, don't walk, away from this junker. It would be a "zero", but in order to post the review, it has to have at least a "one". The app works and gives accurate results! You probably have not moved the camera before the second picture (pictures have to be taken from different distances while head and card are still). Do not purchase this app. It is a complete waste of money. I have tried using this app several times. It takes two pictures of you and that's it. It has never given me my pupillary distance. Not once.